I live in France with my partner( but return to the UK freqently)& I always buy Take A Break&apos;s Fate & Fortune(if available) to take home for a great read.Just love everything about this fascinating magazine. 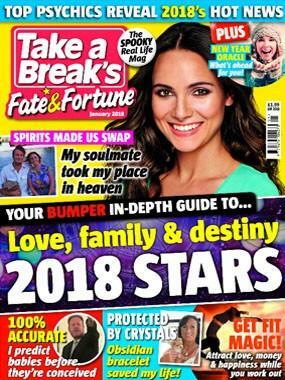 This is my favourite magazine - I especially enjoy the real life stories and the Psychic Detective who investigates famous mysteries. A real monthly treat!